We aim to provide an expert heating & plumbing service based on years of experience in the industry. We are fully qualified and Gas Safe Registered. We have an excellent reputation for our high quality craftsmanship in design and installation of all types of heating systems, including under floor heating and solar systems to luxury bathroom and kitchen renovations. Our trained operatives are highly skilled and highly experienced. We are able to give advice on the best materials and the most cost effective solution to meet your requirements and budget. 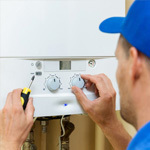 We also offer a wide range of plumbing services from changing a radiator to servicing your boiler, heating repairs and landlord safety checks. "I called out Grahams Heating & Plumbing Ltd and Richard came really quickly as I had a boiler problem. I was very worried about how much it would cost but was very happy about how much it cost and how quickly Richard fixed the boiler. Highly recommended." "My boiler wasn’t working it was pretty old so I expecting that it was going to be a new boiler. I called out Grahams Heating & Plumbing Ltd and they managed to install a new boiler and a couple of new radiators. I was very happy with the price. Fantastic Job. " Boiler not doings it’s job? Give us a call because we can advise you on the best solution. We design and install complete boiler and heating systems to meet your needs and budget. 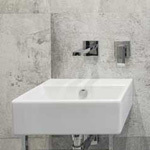 We can design and install your new bathroom from a luxury bathroom, wet room, shower room or en-suite. Our service includes; tiling, carpentry, flooring, plastering, electrics and decoration. We offer a special price to Landlords and Homeowners for their Gas Safety Certificates (CP12) and annual boiler service when combined. Call us now for more details. As well as solving plumbing problems of all types, we providethe full range of standard plumbing services. From fixing bathroom faults, toilet repairs to leaking taps, kitchen tap and sink replacements. Our highly rated heating engineers will service or repair your central heating system and gas fires. We also offer a power flushing service which can help maintain an efficient heating system. As well as plumbing we can help design and create your perfect kitchen or bathroom, from working out the best layout through to installing and decorating – so it works as good as it looks. If you need a quote, or just want to talk over your kitchen or bathroom ideas, please give a call!